In the fast, innovative and technology-driven world we live in today online shopping is booming. Retail ecommerce revenue worldwide has surpassed the $2 trillion mark this year and is expected to reach $4.48 trillion in 2021 – just a few years from now! To keep up with the ever-changing ecommerce field and outsmart the competition, companies should stay on top of the emerging trends. 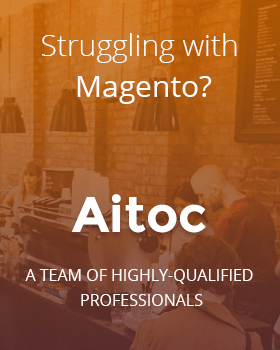 In this article, Aitoc presents the most promising ecommerce trends to pay attention to in 2018. So, here they are. Retail as a whole and ecommerce, in particular, are now all about a seamless and highly integrated customer experience. Consumer behavior has drastically changed, so having a presence on a number of channels is not enough anymore. Whilst making purchasing decisions, people use an enormous range of devices running on different platforms. Buyers first gather info about a product, say, on their smartphone, then test it out in-store and finally complete the purchase online. And they expect the consistency and high quality of service at every touch point. Thus, businesses will have to focus on integrating multiple channels to provide a cohesive omni-channel experience to buyers. Today, the mobile commerce growth rates are striking. With the number of mobile devices exponentially increasing, mobile sales are growing too. According to a recent study by Statista, 53.9% of all retail e-commerce revenue will come from mobile phones and tablets in 2021. However, traditional desktop devices still outperform smartphones in terms of conversion rates due to functionality restraints and imperfect UX of mobile applications. In the next few years implementing mobile-friendly features will become a top priority for ecommerce businesses to ensure the best possible shopping experience on mobile. Blockchain and digital currencies are taking over the world, affecting almost every industry and business domain, including ecommerce. The cumulative market capitalization of all cryptocurrencies has hit an all-time high, having reached $370 billion! Leading payment gateways such as Stripe, already accept Bitcoin, Etherium and other types of cryptocurrencies. Mastercard has even launched its own proprietary blockchain to enable faster and securer money transfers. 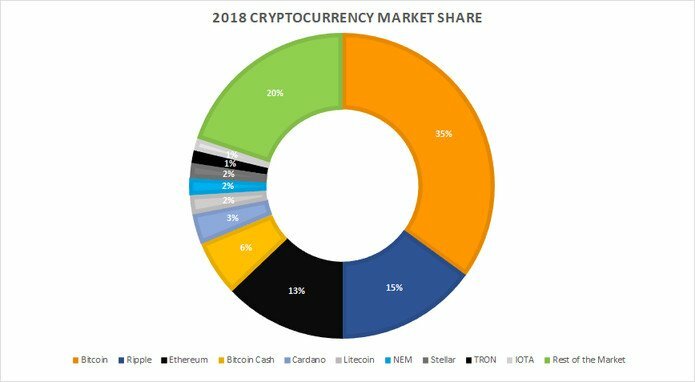 The future belongs to the cryptocurrencies, so there’s no doubt crypto payments will shape the market in 2018. Personalization has been around for a couple of years and it will continue gaining ground the next year. Modern customers require a more personalized and tailored online experience throughout their journey. 66% of buyers will choose another brand if they feel they’re being treated like figures rather than individuals. Businesses will have to leverage behavioral analytics to get insight into customers’ preferences and expectations and then supply them with the products and services they want. In 2018, improving customer experience via a high level of personalization will set forward-thinking brands apart from competitors. It’s not much of a shocker that augmented and virtual reality are the next big thing for the ecommerce. AR and VR technologies have the power to revolutionize the industry by providing immersive and real-life shopping experiences. More and more world-known companies jump at the opportunity to take advantage of these technologies. Sephora uses AR in their Virtual Artist tool, allowing customers to try on various makeup looks via a mobile app. With VR gear like headsets and glasses becoming cheaper and more accessible, virtual reality will be actively incorporated into ecommerce strategies too. 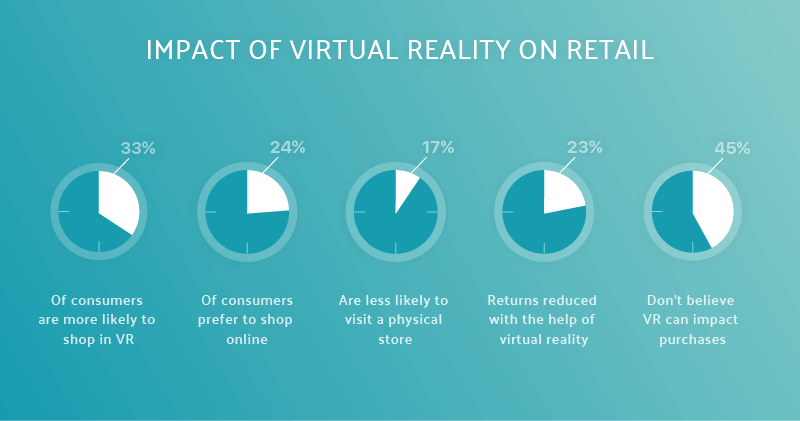 Thus, the influence of virtual reality on retail steadily grows, with more and more shoppers leaning toward online purchasing with the help of VR. As modern shoppers get tech-savvy, their purchasing decisions become more dependent on the information they find online. The latest statistics show that 85% of buyers researched products online before completing an order in 2017. That is said high quality and trustworthy online content has never been as important as it is now. User-generated content steals the scene here since buyers tend to trust each other a lot more than the statements made by a particular brand. So, online merchants will have to keep an eye on customers’ feedback and be ready to instantly address any issue. Slowly but surely chatbots and voice assistants are getting a foothold in the ecommerce field. By 2025 the global chatbot market is expected to account for $1.25 billion, growing at a CAGR of 24.3%, according to a new report by Grand View Research, Inc. Incorporated into messenger apps, chatbots provide online retailers with a wealth of new marketing opportunities. 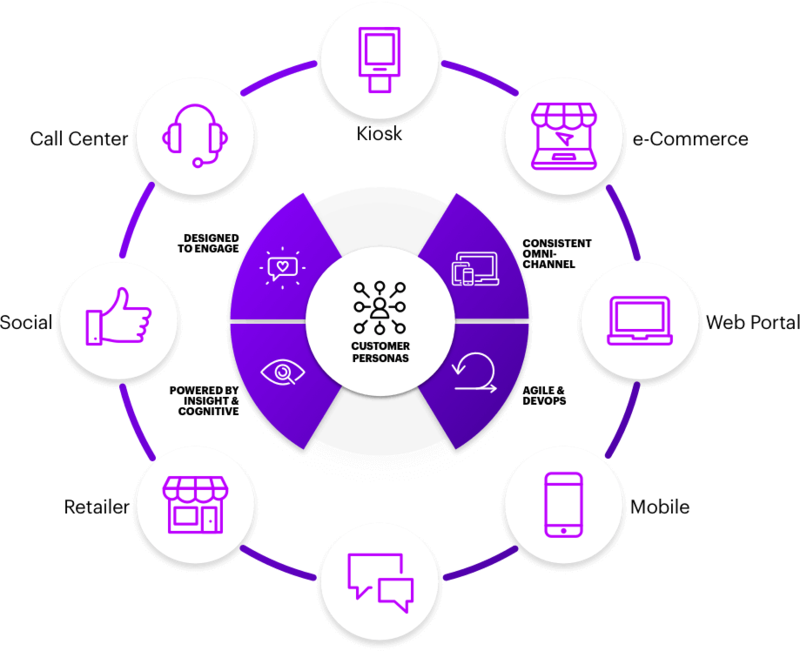 For instance, the ability to interact with multiple customers simultaneously, suggest relevant products based on context, or roll out native advertising campaigns. AI-driven chatbots are on the rise too, uncovering a never-before-seen way to provide for more personal and quality customer service at a significantly lower cost. Voice assistants are yet another hot trend for the millennials. Allowing to search for goods, place orders or make payments with ease, these tools facilitate the entire buying process. Thus, voice purchases will continue influencing the sphere as well. Over the past few years, video content has been gaining popularity as an effective online marketing medium. And it seems like this trend is not going anywhere the next year. Allowing to convey information in a more engaging and comprehensible way, video feed promotes brand recall and opens up new opportunities to market products and services. Videos placed on landing pages are proved to improve conversion rates, so investments into video content marketing will definitely grow. 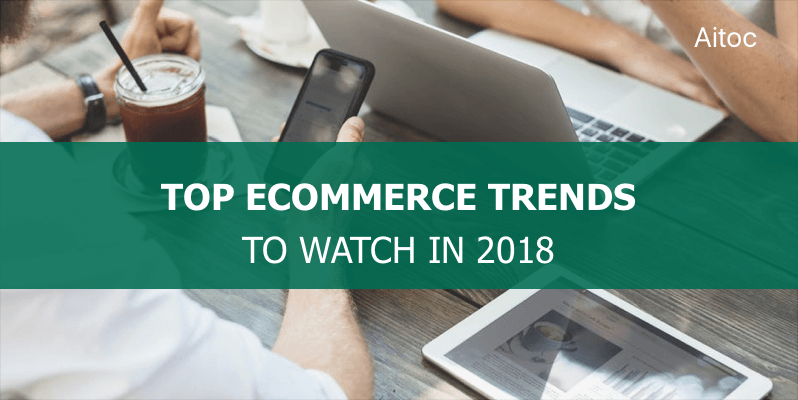 We believe that the above-mentioned ecommerce trends will play a huge role in shaping the industry in 2018. However, businesses should not only keep tabs on the latest achievements and tendencies but also make every effort to transform them into added value for the target audience. That will provide a robust foundation for them to continuously evolve and flourish.